After more than two months on the road, we were craving a short break from the backpacker lifestyle. Ironically, this coincided well with our scheduled stop in Japan. Although it’s been seven years since I lived in Japan, flying into Tokyo’s Narita Airport felt a little bit like returning home. Knowing where to go and how to get there eliminated about 95% of the stress that we typically experience when arriving in a new place. Perhaps our greatest sense of relief came from not having to worry about getting ripped off or being overcharged. After spending time in Vietnam, a country where finding someone to charge you a fair price is a constant battle, we were especially grateful for the opportunity to let down our guard. Both Jason and I have spent quite a bit of time in Tokyo so we felt no pressure to go sightseeing during our week long stay. 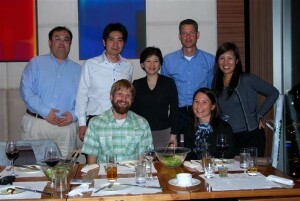 Instead, we focused on spending time with our friends and Jason’s former colleagues. The first half of our short trip was spent with our Aussie friends, Suria and Carl. 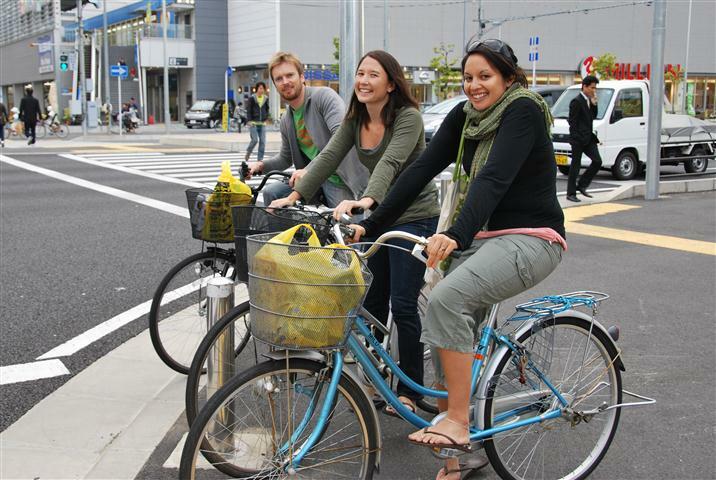 I met Suria when I was living in Japan and although she moved back to Australia in 2004, she returned to Japan a couple of years ago to work at an International School just outside of Tokyo. 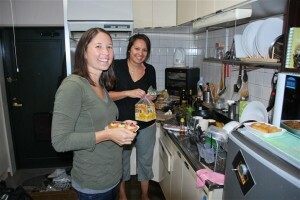 Spending a few days with Suria and Carl in their cozy apartment was one of the most relaxing stops of our entire trip. Other than excursions to the grocery store, a sushi restaurant with a rotating conveyor belt and the 100 Yen shop, we didn’t do much other than eat delicious home-cooked meals prepared by Suria and enjoy each other’s company. Although their apartment in the suburbs isn’t in the midst of all the action, I was grateful for its location near a river with an excellent running path. For the first time since leaving New Zealand, I was able to run without fearing that I would be run over by a speeding vehicle or bitten by a rabid dog. In fact, the running path was so quiet and serene that I nearly forgot one of the largest cities in the world was just across the bay. As psyched as I was about the ideal running conditions, Jason was even more excited about Suria and Carl’s reliable, fast internet connection. Within 12 hours of hooking up our laptop, thousands of our photos were fully backed up to a server back home. After a few days of R&R at Suria and Carl’s we packed our bags and headed to our friend Gavin’s apartment. Gavin is from Ireland but has been living in Japan since 2003. Like me and Suria, he moved to Japan to work as an Assistant Language Teacher but eventually moved on to pursue an exciting career in tax accounting. We had the honor of being Gavin’s last guests as he was relocating to London just a few weeks after our visit. Gavin’s apartment is less than ten minutes from Shibuya, home of Tokyo’s famous scramble crossing, so there was plenty to keep us entertained when we felt like venturing out. For the most part though we tried to avoid the crowds, preferring instead to wander the small, charming streets near Gavin’s apartment building. One additional bonus to visiting Tokyo is that we were able to see Jason’s former Japanese colleagues from Boston Scientific. Since he was based in St. Paul and they are in Tokyo, he never had a chance to say goodbye when he resigned. Fortunately, they were nice enough to arrange a get together so that we could see everyone while we were there. 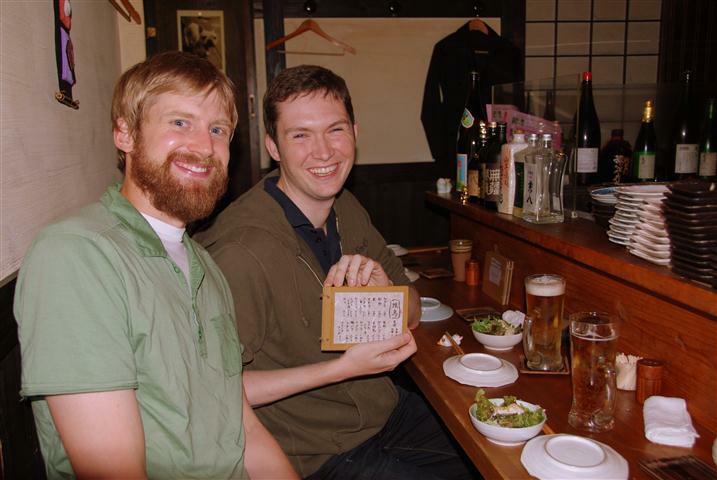 Jason’s former manager arrived in Japan the same night and, fighting his jet lag, joined us as well. We really enjoyed seeing everyone and also appreciated the great meal. Although our visit to Tokyo felt a little rushed, we were thrilled with our choice to include it on the itinerary. Gorgeous weather, time with friends and a short hiatus from our routine bed bug check all combined to make it a relaxing and enjoyable week. Japan is by no means a budget destination but we managed to do it as cheaply as possible. Our flights to and from Narita were purchased with frequent flyer miles that Jason accumulated while traveling for work. As an additional perk, Jason’s elite status on Delta meant we were able to take advantage of the swanky airport lounges. With our casual clothes and Jason’s scruffy beard we sure looked out of place! 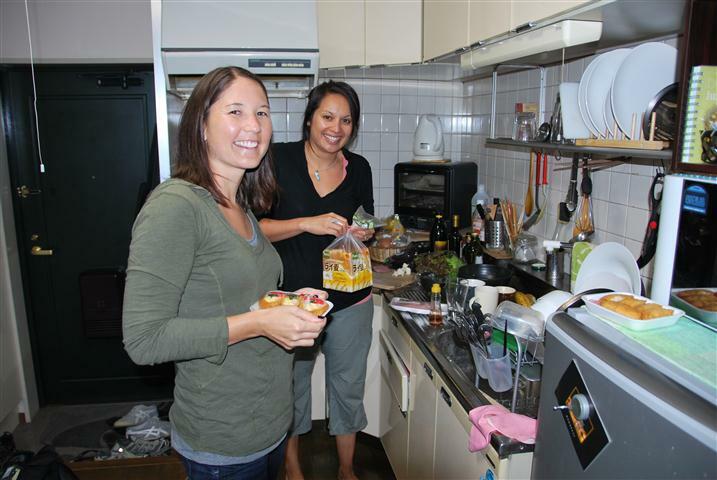 Our accommodation In Japan was also covered thanks to our generous friends that put us up during our six night stay. Thank you to Suria, Carl and Gavin for being such wonderful hosts! We would also like to thank Kentaro for providing Jason with a stick of Canadian deodorant from his personal supply!